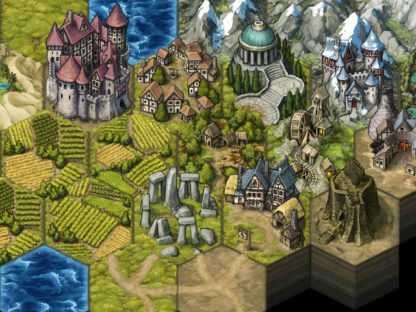 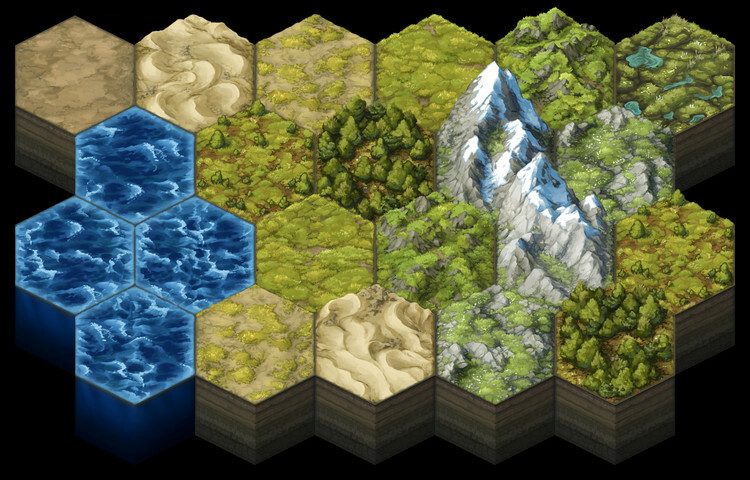 This Add-On collection contains 6 distinct Add-Ons that allow GMs to quickly make area and regional maps out of lovingly hand-painted 2D terrain hex tiles, each depicting a different type of terrain (biomes) in a style that is painterly, iconographic, and evocative. Each biome is represented by 4 unique variants, to avoid repetitiveness. 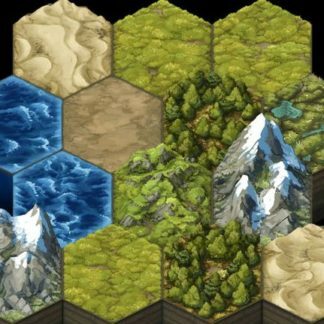 With the 796 mapping assets contained in this Add-On collection, you can make professional-looking maps that depict nearly every imaginable type of terrain. 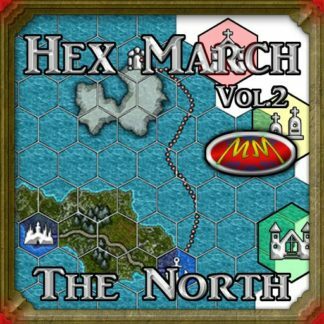 It is perfect for creating West March style hex-crawl maps, or maps for a Pathfinder Kingmaker game. 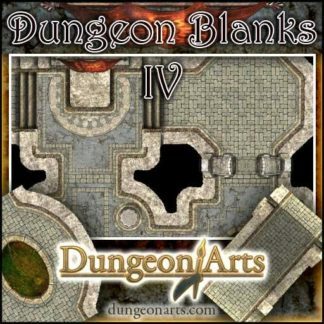 This Add-On collection is primarily intended for fantasy/medieval settings, but most of the non-building content could also be used for other genres. 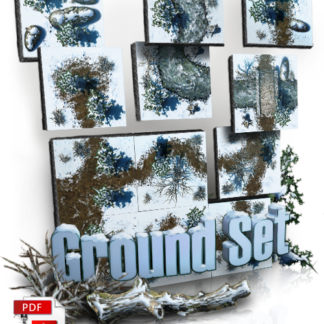 This high-resolution version of the product allows for commercial use and publishing. 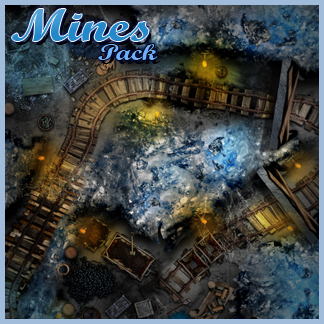 A more affordable low-resolution version of the product, which is for Personal Use Only, is also available. 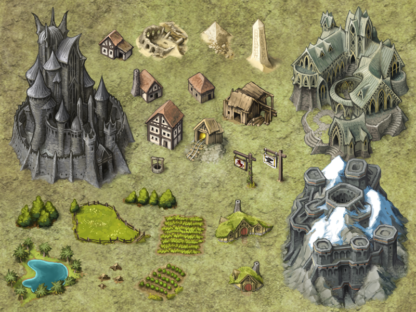 All artwork in this Add-On was created by David Baumgart. 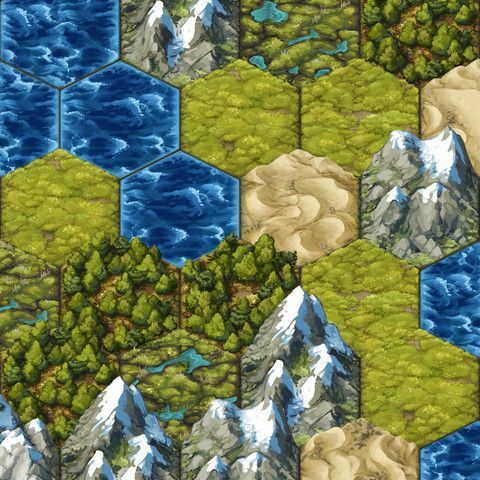 Additional color mods and river overlays have been added by Hernan Ruiz Camauer, and are exclusive to this MapForge collection. 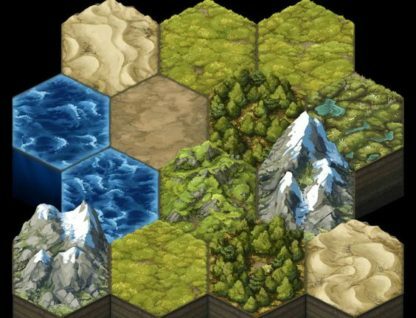 Note: This product is only usable in the MapForge software. It is not a collection of stand-alone graphics, but rather a set of copy-protected files which require a registration code for the content to be accessible to the MapForge software. This collection is so vast that it has been separated into 6 distinct Add-Ons.